Lock in a great price for The Rowan Tree Country Hotel - rated 9.2 by recent guests. The staff and owners were so personable. Made you feel welcome without it feeling forced. Food was AMAZING! And its totally pet friendly. Excellent choice for breakfast and good location for various visits. breakfast excellent,location ideal and very scenic,evening dining very good with a good selection and variety for a small hotel. very comfortable , new owners very friendly and helpful. All the staff were very friendly and helpful. The room was just the right mix of individual without frilling everything and hiding the power points. 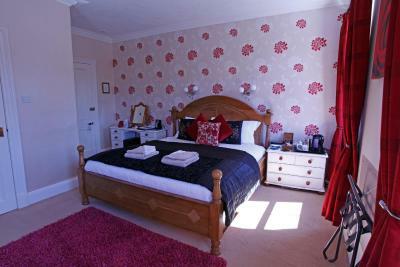 The staff were lovely, bedrooms are homely and nicely thought out, perfect location. 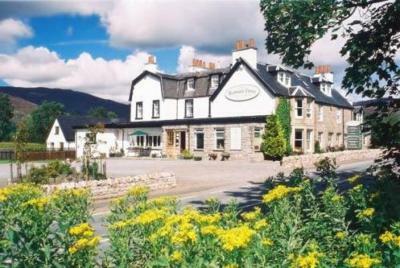 Will be going back for sure, a perfect base for exploring aviemore with incredible food! Built in the 1700s, the Rowan Tree Country Hotel now offers elegant rooms, many with views of the mountains, Cairngorm National Park or Loch Alvie. Traditional Scottish breakfasts are available. The hotel has a lounge and bar, both with log fires in winter. The bar has a selection of local gins and whiskeys. The restaurant serves Scottish dishes, many using local ingredients and offers cooked breakfasts including porridge with whisky. Meals need to be booked prior to arrival to avoid disappointment. The hotel has been expanded and modernised but retains many original features including open fires, stained-glass leaded windows and beamed ceilings. 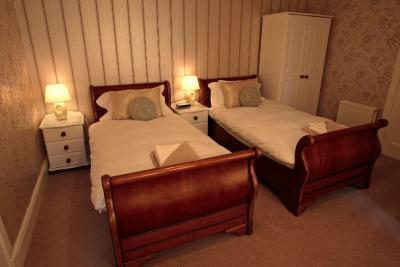 All rooms have TVs, WiFi, Egyptian cotton sheets and en-suite bathrooms. In the Cairngorm National Park, The Rowan Tree is set in beautiful countryside, well-known for golfing, fishing, hiking and riding. The hotel is 40 minutes’ drive from Inverness, in the heart of the Scottish Highlands. This property is also rated for the best value in Aviemore! Guests are getting more for their money when compared to other properties in this city. The Rowan Tree Country Hotel has been welcoming Booking.com guests since 24 Mar 2010. When would you like to stay at The Rowan Tree Country Hotel? An en suite bathroom and a TV feature in this room. House rules The Rowan Tree Country Hotel takes special requests - add in the next step! The Rowan Tree Country Hotel accepts these cards and reserves the right to temporarily hold an amount prior to arrival. Dinner must be requested at least 1 day in advance. Please inform The Rowan Tree Country Hotel in advance of your expected arrival time. You can use the Special Requests box when booking, or contact the property directly with the contact details provided in your confirmation. I liked a spacious room and a comfortable bed. Slept very well. Be advised before staying, they only allow 2 people per room. Unwavering on their cancellation policy. I booked 2 rooms for 2 adults and 3 children not knowing they only allowed 2 persons max per room. Arrived to check in and was told I had to purchase an additional room or pay 99 pounds cancellation fee per room. Not pleased at all.